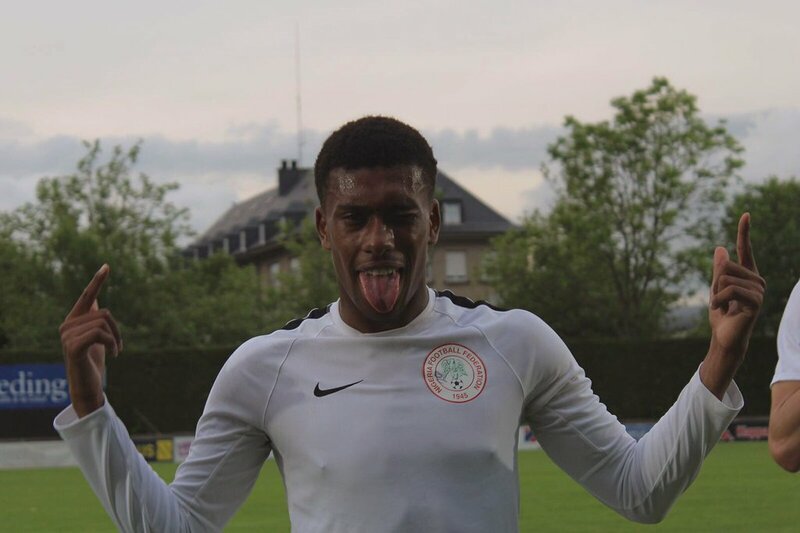 Alex Iwobi has received rave reviews from his club Arsenal, after he scored his first ever goal for Nigeria in the 2-1 win over Zambia on Sunday. The Super Eagles defeated the Chipolopolo 2-1 at the Levy Mwanawasa Stadium in Ndola on Sunday, with Iwobi scoring his first Nigeria goal with a well-struck half volley in the 32nd minute to give the Eagles the lead, before Kelechi Iheanacho scored what proved to be the winner in the 43rd minute, even though Zambia pulled on back in the second half. Reacting to the development, the Premier League club couldn’t hide their excitement withIwobi, going on to give him a pass mark both on their twitter handle and their official website. They then followed that up with a short review of the 20-year old’s performance for Nigeria in Ndola. “Alex Iwobi scored his first international goal as Nigeria won their World Cup qualifier in Zambia. The 20-year-old gave his country the lead with a well-struck volley after 32 minutes, and Kelechi Iheanacho extended the lead just before the break. Zambia pulled one back after the break but Nigeria held on for victory,” the review reads.